A brand new edition of AWS D1.6 Structural Welding Code—Stainless Steel is hot off the press! The substantially revised code includes new requirements that address the materials, technologies, and processes that have emerged since the last edition was published in 2007. The AWS D1K Subcommittee on Stainless Steel, which developed the code, also made the 2017 edition more consistent with other AWS standards, clarified clauses that might have led to misinterpretations, and redesigned the layout to make it easier to locate relevant information. The following list includes some the major revisions included in the 2017 edition of AWS D1.6 Structural Welding Code—Stainless Steel. Make sure to review a copy of the new code for other changes that may not be covered here. It has been updated and reorganized to reflect AWS D1.1/D1.1M, Structural Welding Code—Steel where appropriate and references AISC/SCI Design Guide 27: Structural Stainless Steel. Out-of-place subclauses have been placed in the appropriate clause. 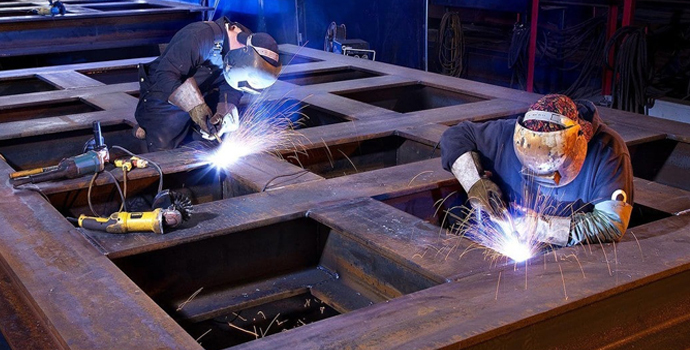 For example, fabrication requirements were previously located in the Prequalification clause and prequalification requirements were previously located in the Fabrication clause. Flare-V and flare-bevel-groove welded prequalified joint details have been included for ease of interpretation and consistency with AWS D1.1/D1.1M, Structural Welding Code—Steel. These clauses have also been restructured to follow the standard D1 code format and provide a more logical flow. In the new edition, an individual can now qualify directly to AWS B2.1/B2.1M, Specification for Welding Procedure and Performance Qualification, without approval from the Engineer, all while retaining D1.6 code qualification requirements if the Contractor decides to utilize these. All visual inspection acceptance criteria and NDE personnel qualification requirements have been brought together for ease of use. Visual inspection acceptance criteria were removed from the text and placed in a new Table 8.1, similar to AWS D1.1/D1.1M, Structural Welding Code—Steel. Several errata items, as well as commentary text taken directly from D1.1, were added. Most of the content from Annex E was moved to this clause. Some content from Annexes H and O was also incorporated into Clause 8. Revised to parallel AWS D1.1/D1.1M, Structural Welding Code—Steel, and employ fillet weld size terms used in AWS A3.0M/A3.0, Standard Terms and Definitions, and A2.4, Standard Symbols for Welding, Brazing, and Nondestructive Examination. Most of the information in the old Annex E (2007 edition) was moved to Clause 8 in the 2017 revision. The Annex E in the 2017 edition now lists informative references. 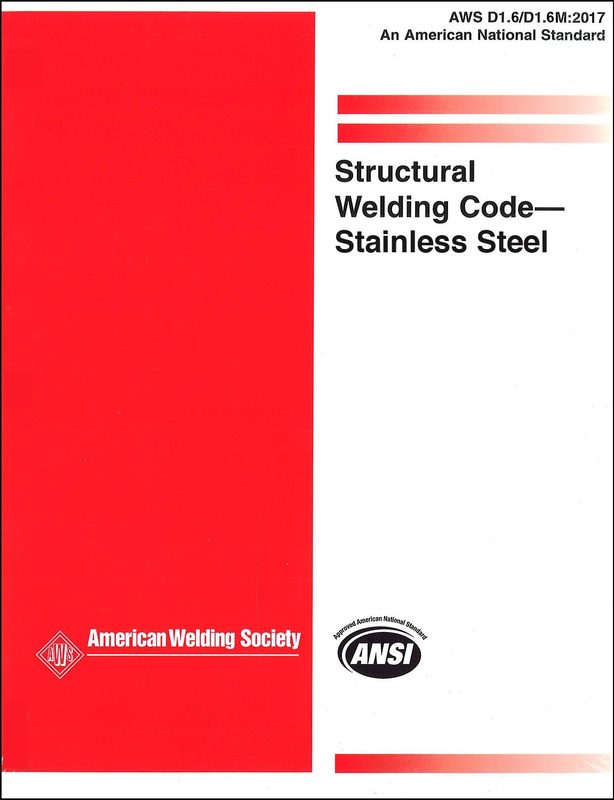 AWS D1.6/D1.6M, Structural Welding Code—Stainless Steel, is currently available at the AWS Bookstore. Members receive a 25% discount on this and other AWS products, so consider joining today. See the AWS Membership webpage for more details. If you have any comments for improvement of AWS D1.6/D1.6M, or are interested in joining the subcommittee responsible for its development, please contact the Secretary of AWS D1K Subcommittee on Stainless Steel, at standards@aws.org. Previous PostManufacturing Communities Act Promises RenewalNext PostAre You Really Ready to Take a CWI Seminar? Where in the AWS D1.6 2017 does it address GTAW current requirements? The 2007 code addresses them in table 3.5 note g and has the relative current ranges listed below the notes. The 2017 is completely silent on the subject, it has table 5.4 and notes c. g. h. but nothing that addresses current limitations and/or ranges. The other processes address it. Am I missing something or is it no longer a requirement with a limitation?